If you have recently registered, please be patient. Your registration request must be validated by one of our volunteer administrators before you will receive full forum access. This is a manual process that can take up to 24 hours. Not a PCA Cayman Register member? 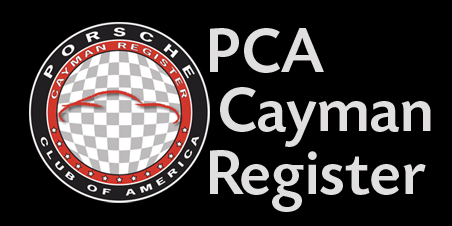 Access to the PCA Cayman Register is one of the many benefits available to Porsche Club of America (PCA) members. If you're already a PCA member, what are you waiting for? Proceed right to our Registration Page and sign up. Cayman ownership is not required. 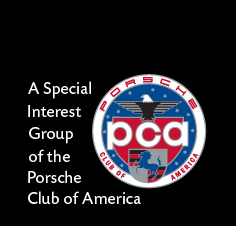 If you're a Porsche owner, or potential Porsche owner, you owe it to yourself to take a good hard look at the Porsche Club of America. Membership in the PCA provides so Many Different Benefits for the cost of a tank of gasoline. Social events, discounts, track events, magazines, meetings, tours, giveaways and so much more. You can Sign Up Now and be a part of the largest, and best single-marque automobile club in the world.